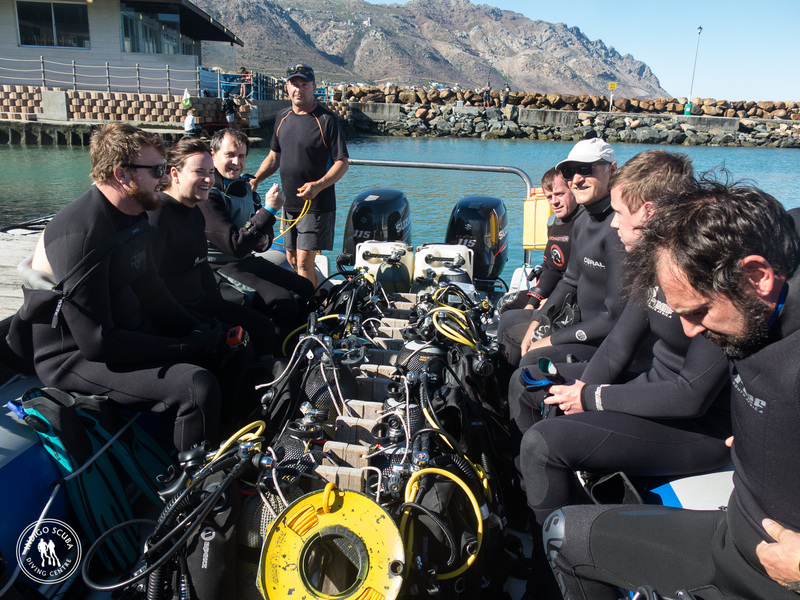 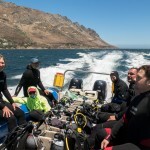 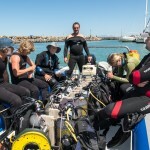 Although there were patches of red tide in the shallows along the cliffs in Gordon’s Bay, we made our way out to Blousteen and closer to Rooi Els as well as our deeper dive of Noble Reef on Friday, Saturday and Sunday. 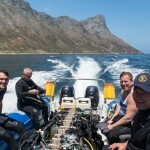 Here we were able to enjoy visibility of between 8m and 15m in water ranging between 17C and 19C. 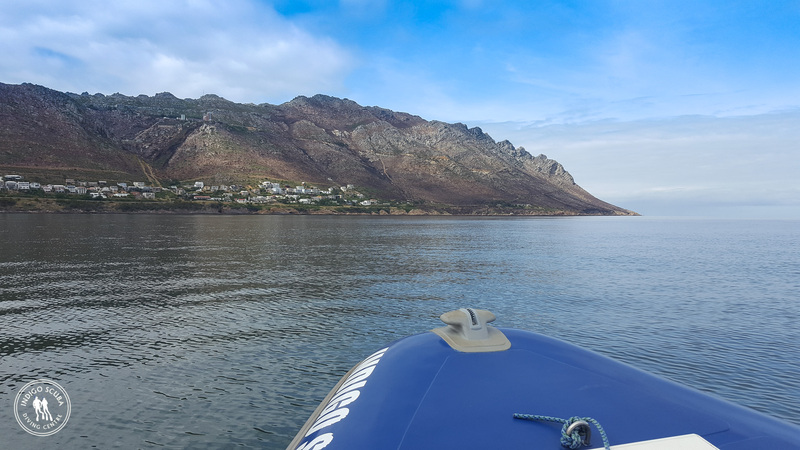 Surface conditions were calm and virtually wind free and although we did not spot the usual Bryde’s whales or dolphins on the way to Blousteen, there were plenty of really tiny Cape Fur Seals enjoying the warm surface waters. 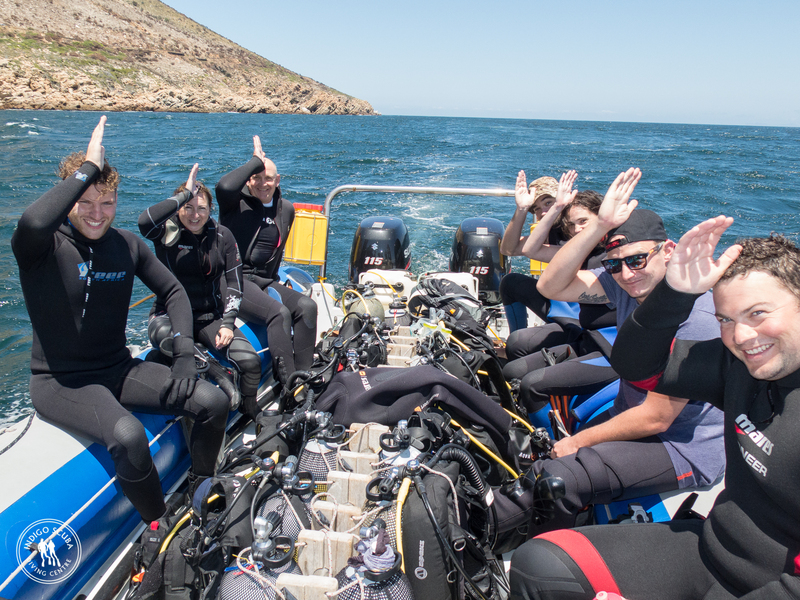 The dive sites were teeming with life and we came across many schools of smaller fish as well as two rays (one the size of a bus!) 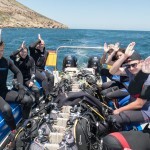 and cowsharks on two of our dives. 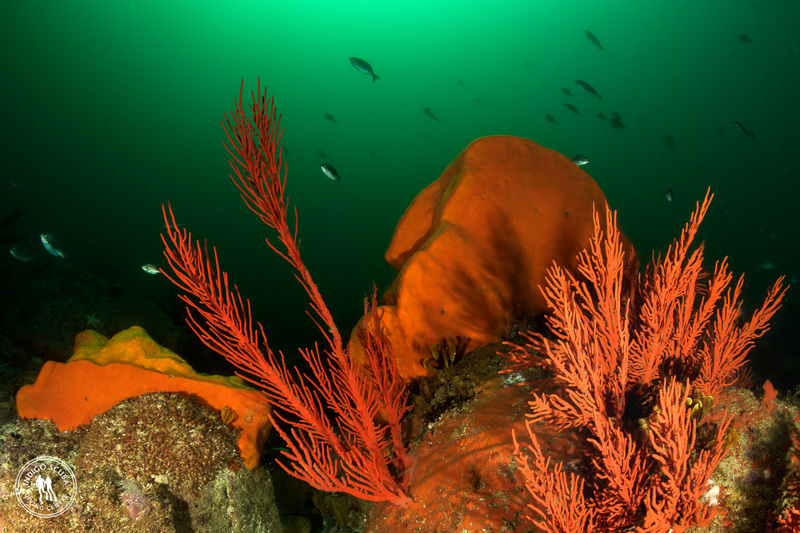 The many sea fans played host to shy but curious pipefish and it was really fun trying to photograph them as they dipped in and out of the fronds of their refuges. 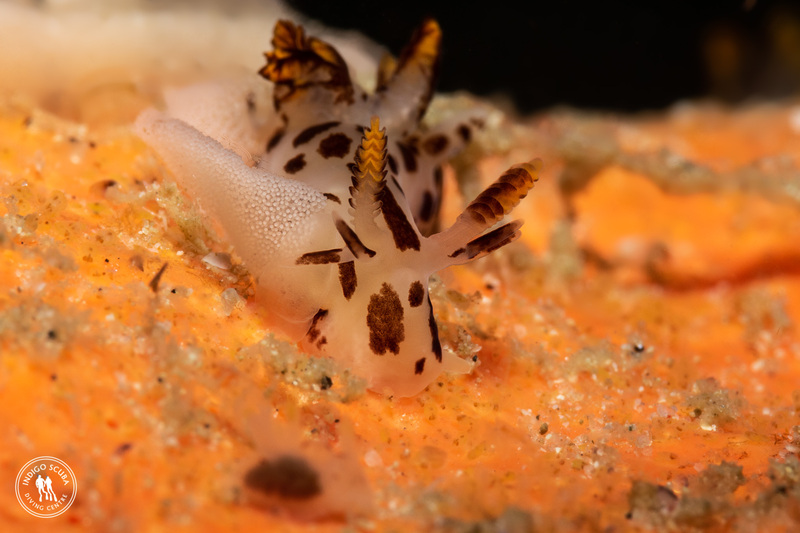 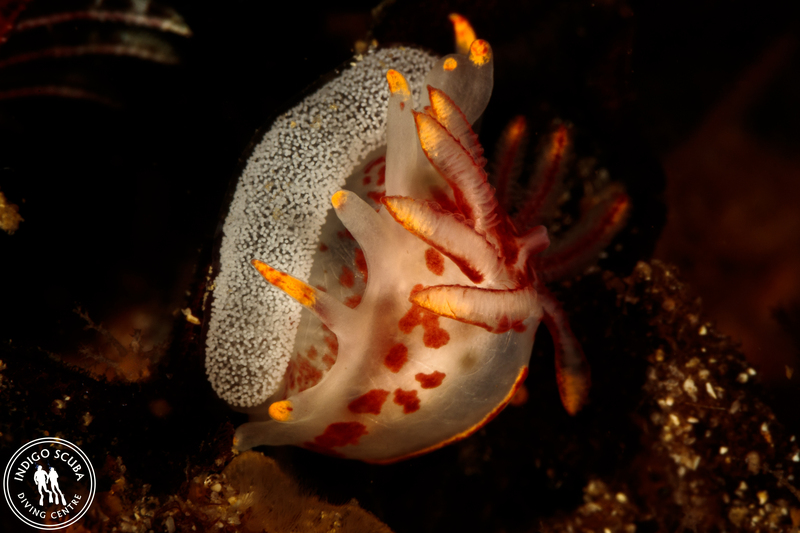 Nudibranch spottings included both orange and white and blue gasflames in assorted sizes, frilled nudibranchs, silvertips, Catriona casha, black nudibranchs, scribbled, speckled, inkspot, chocolate chip and Cape Dorids. 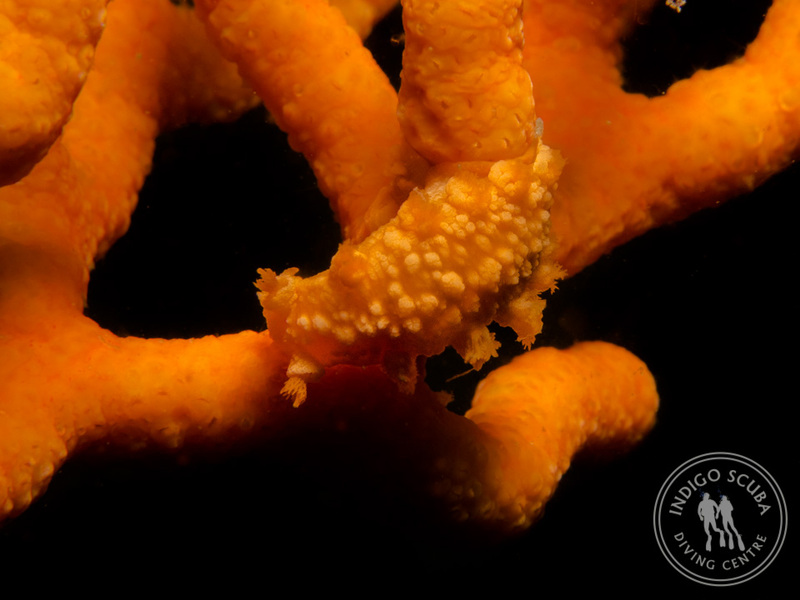 We found the hotlips spider crabs at Noble Reef as well as many cute blennies watching the world go by on the reef. 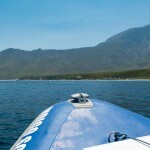 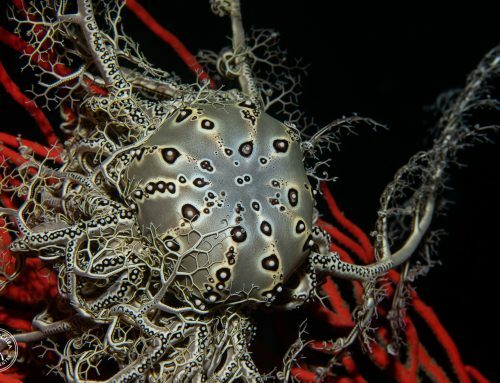 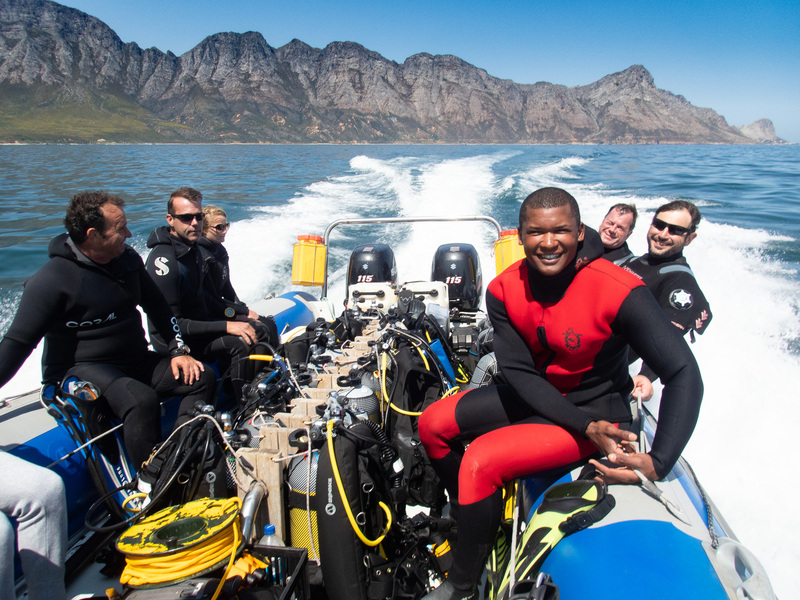 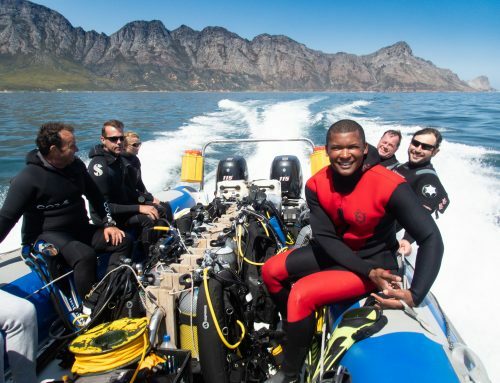 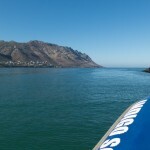 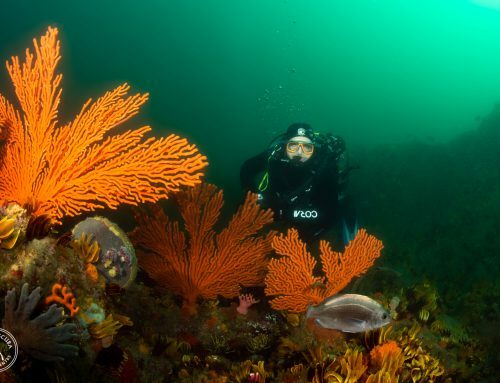 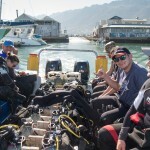 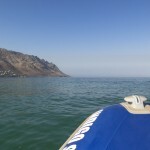 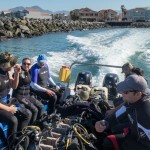 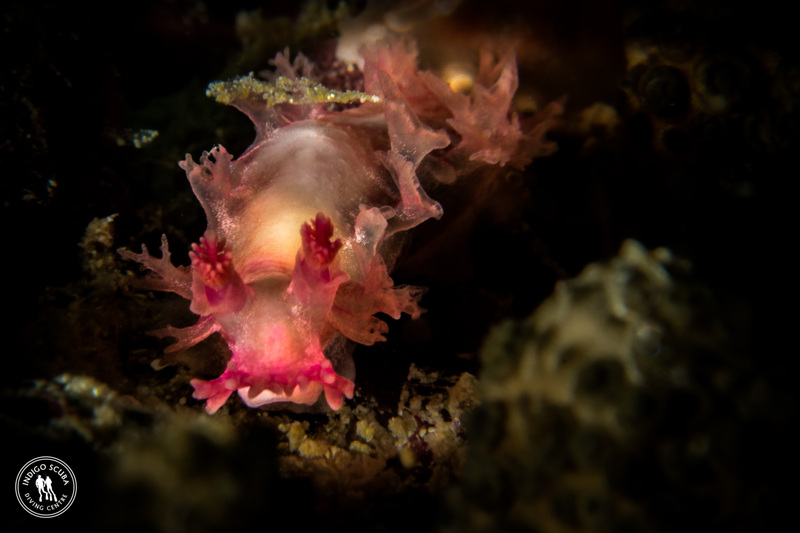 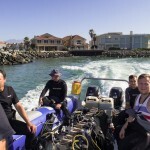 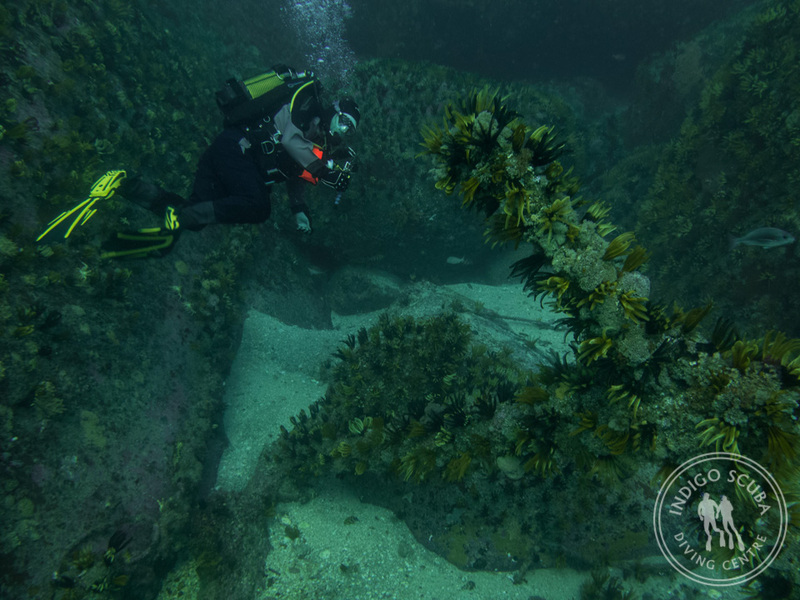 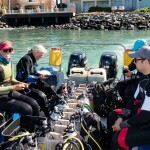 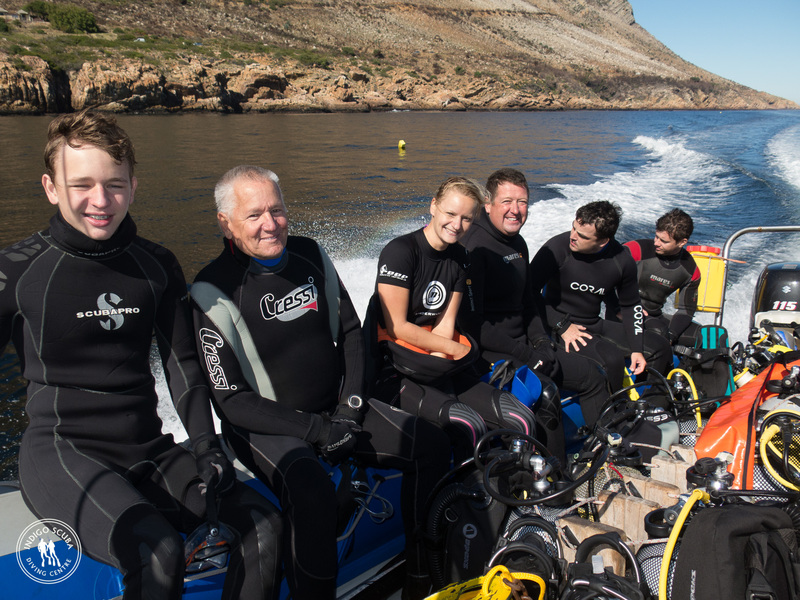 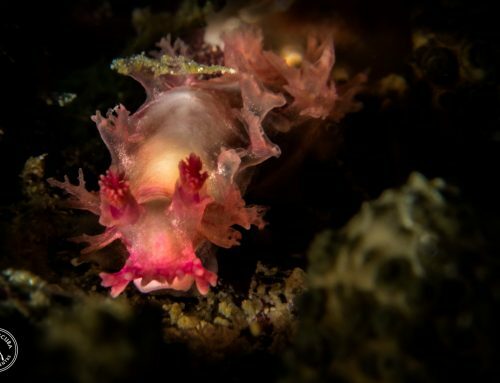 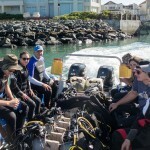 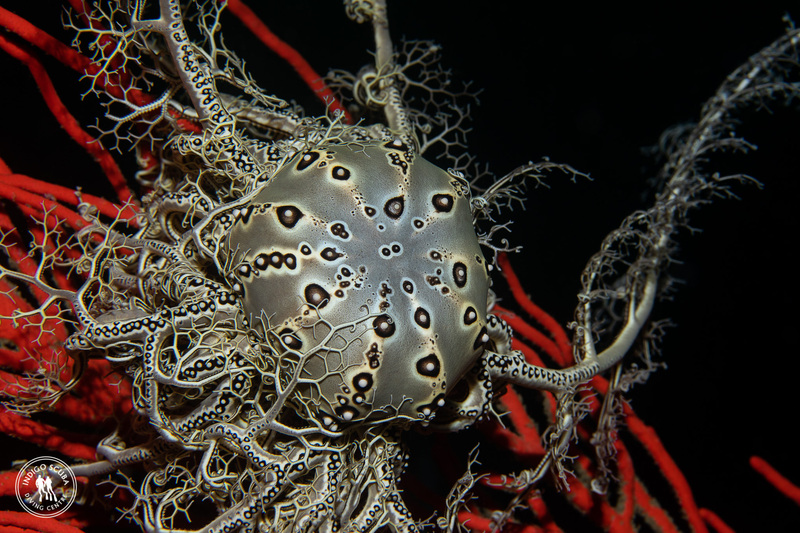 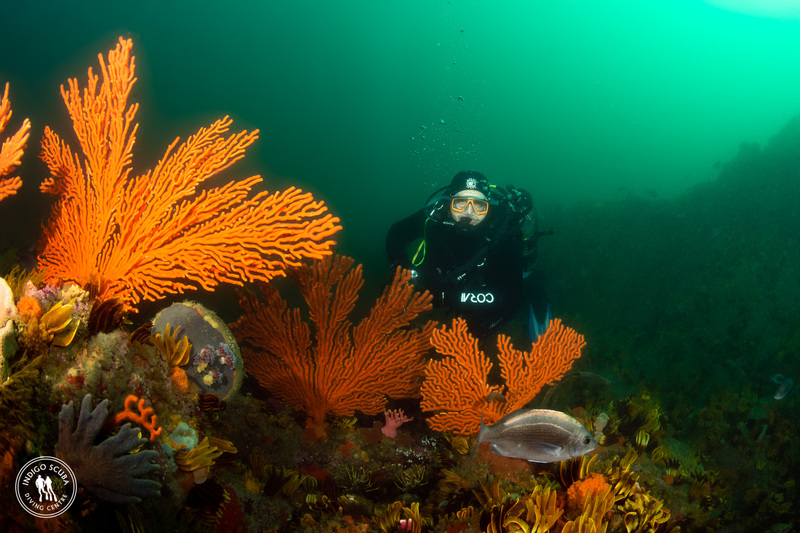 Diving in Gordon’s Bay is very different – so much marine life and such diverse reefs. 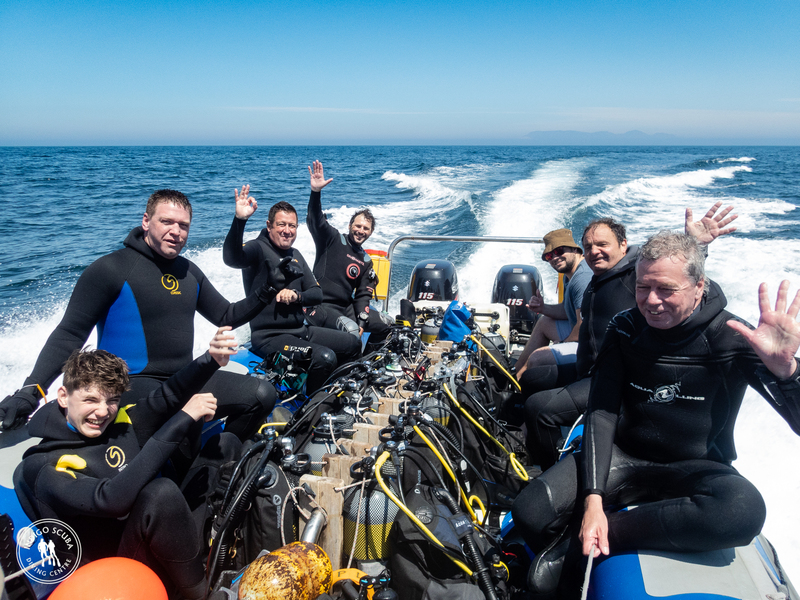 A big thank you to everyone who joined us for these dives – here’s to our next launches!